As a woman of the world, you’re independent — you know what you want, and you go after it. Whether it’s a great job, a fantastic vacation or an amazing apartment, you don’t wait for things to come to you. The same should go for jewelry — you don’t need a lover or a relative to decide to give you jewelry as a gift. If there’s a special piece you want to have, you can — and should — go out and buy jewelry for yourself. It can be exciting, empowering, a needed boost after a bad day or a reward for a great one. It may even be all of the above! There’s sure to be a piece that fits your wardrobe, your lifestyle and your budget perfectly. However, if you’ve never done it, buying jewelry for yourself can be a little disorienting at first. After all, you’re making a large investment in something you want to wear always; but with a little research and a little more shopping, you can treat yourself to something gorgeous (come on, you deserve it!). You’ll definitely be thrilled with your purchase for years to come. Whether it’s a diamond right-hand ring you’ve had your eye on, a gemstone pendant, a tennis bracelet or big, sparkly stud earrings, there’s sure to be a piece that fits your wardrobe, your lifestyle and your budget perfectly. You can build your fine jewelry wardrobe piece by piece, beginning with the basics, or go right for a showstopper your first time out — as with all things, it’s totally up to you. More women than ever before are taking the initiative and shopping for themselves. What’s your work wardrobe like? Is it conservative suits and heels, or more like casual Friday every day of the week? Do you go for cocktails after work and attend the opera and theater on the weekends? Or is your idea of a great Sunday afternoon a game of touch football in the park? Do you tend to wear frilly, feminine things, or does your wardrobe skew more minimalist and sporty? It’s important to get a handle on these things, because when you choose your jewelry, you’ll want it to look great with what you wear — whether you plan to wear it seven days a week or just on special occasions. You’ll be happier with your jewelry longer if it’s chosen with your style and lifestyle in mind. Are you looking for a jewelry-box staple that’s clean, minimal, and will go with every outfit, Monday through Sunday? Does your jewelry box already have the basics? If not, that may be where you want to start. Or are you looking for a “wow-’em” piece — something you’ll wear for special occasions or to really dress up? In terms of basics, diamond studs are the perfect way to buy jewelry for yourself — they’re elegant, minimal, and have sparkle to spare. You can also find diamond studs in a carat weight to fit any budget, which makes them a great way to begin building your fine-jewelry collection. Another great addition to your capsule jewelry wardrobe would be a simple gold chain necklace with a bezel-set diamond. As with the studs, you can get the necklace with a stone to fit almost any budget — and the clear shine of a white diamond is sure to go with any outfit, from a silk dress-for-success blouse to your coolest leather jacket. Round out your jewelry basics with a gorgeous diamond tennis bracelet. While generally not a budget purchase, this ultra-twinkly flexible diamond bracelet will be a staple, seven days a week. Show the world your sophisticated taste by adorning yourself with this enviable piece. A fine watch is also a great way to invest in yourself and your look. Timepieces can be formal or casual, and some styles bridge both worlds. 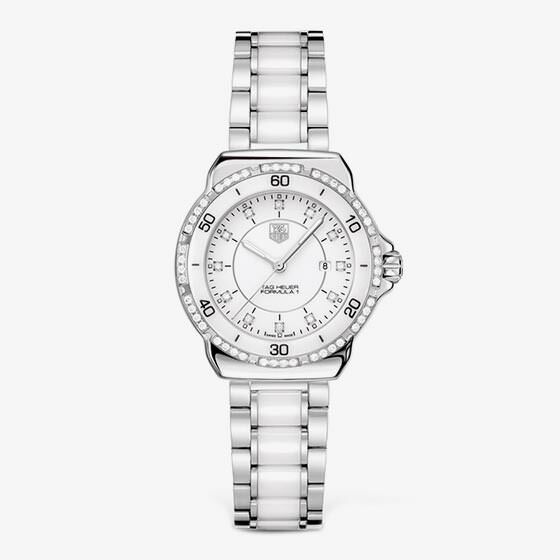 They can also add some bling to your wrist — many women’s watches are available with diamonds on the bezel and/or the face. If you feel like you already have jewelry basics, consider branching out with some not-so-basic-but-still-spectacular pieces. Now is the time to consider black and color diamonds and other color gemstones. Want to bring out your baby blues? Consider some sapphire studs. Are your favorite going-out shoes fire-engine-red sandals? 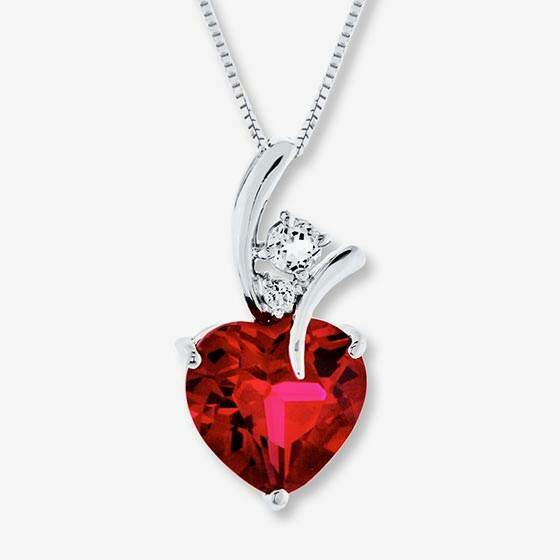 A pendant necklace featuring a crimson ruby or garnet will add a spark and miles of sophistication to any occasion. If you like to attend special events such as theater opening nights or black-tie charity events, a ring with a larger gemstone will instantly up the glamour factor of any ensemble. When buying a less-basic piece, think outside the (jewelry) box — go for something bigger, more colorful and bolder than your usual choices. You’ll want every night to be Saturday night. When investing in a piece of fine jewelry, you — as a savvy, modern woman — want to stay within your budget. If you have a piece in mind, consider putting a small amount of money into a savings account each month until you have the money for that special piece. If you receive a bonus or a raise at work, it’s a great time to reward yourself and put that money toward an item that will make you feel proud of yourself every time you glance at it. 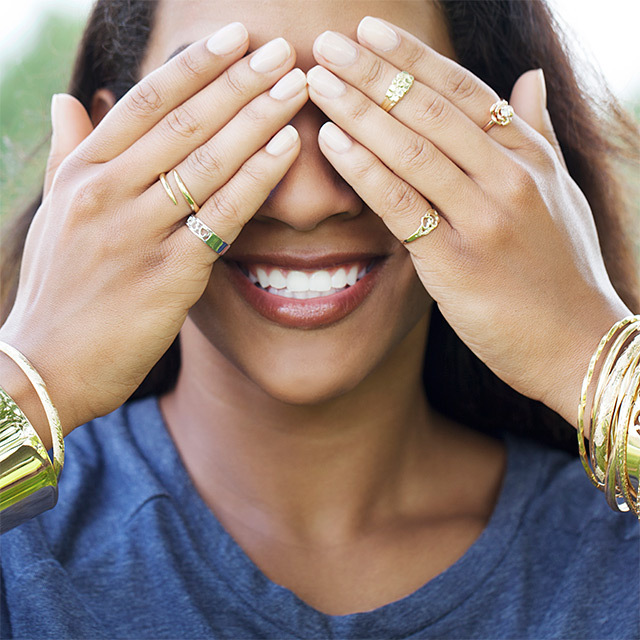 Even if you're working with a somewhat limited budget, you can still buy jewelry for yourself. Once you set a budget, consider options such as a gold piece with no gemstones (perfect for building your basics wardrobe), like a chain necklace or a simple signet ring. If you really want something special, some of the lesser-known gemstones provide plenty of “wow” for not a lot of money. Freshwater pearls are also a great choice for an elegant, lower-priced treat. Now that you’ve got your sights set on a gorgeous piece of fine jewelry, and you’re ready to take the plunge, what else do you need to know? Well, for starters, make sure to ask your jeweler if a warranty is provided for your piece or if a service plan is available for purchase. A warranty should cover a yearly cleaning and a regular once-over by your jeweler with a loupe or gemscope to be sure no repairs are needed. A service plan should cover the cost of repairs such as ring sizing, prong retipping, and rhodium plating. Insurance is also something to think about. No one wants to think about all the bad things that could happen to a precious possession, but depending on the dollar amount of your investment, insurance may be worth the extra cost to protect it. Often renters and homeowners insurance only cover jewelry up to a certain amount after a deductible, so check with your agent or insurance provider. Each piece of jewelry you wear says something about your style. But some pieces carry a stronger message, and even tell a story.